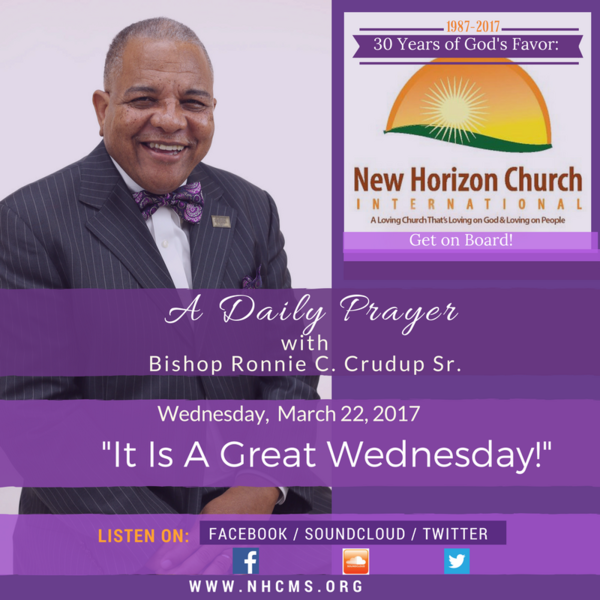 Audioboom / Wednesday, March 22, 2017, A Daily Prayer With Bishop Crudup "It Is A Great Wednesday!" Thursday, March 23, 2017, A Daily Prayer With Bishop Crudup "Great Is His Faithfulness!" Wednesday, April 26, 2017, A Daily Prayer With Bishop Crudup, "Great Things Today!"